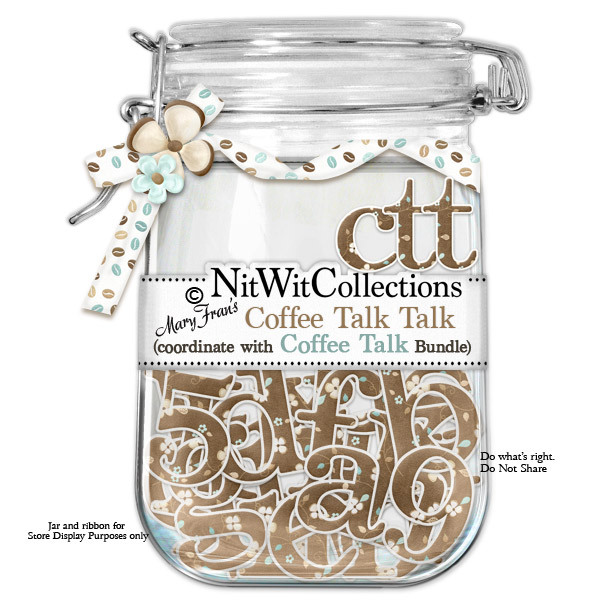 "Coffee Talk" Talk ....wow that's a mouthful....try saying it 5 times really fast....how did you do?ha,ha,ha. Use it like cream and sugar to give you a little extra "taste" on your layouts and cards! 1 AlphaWit set of lowercase letters, &, apostrophe, exclamation mark, question mark, and set of numbers (0 to 9).